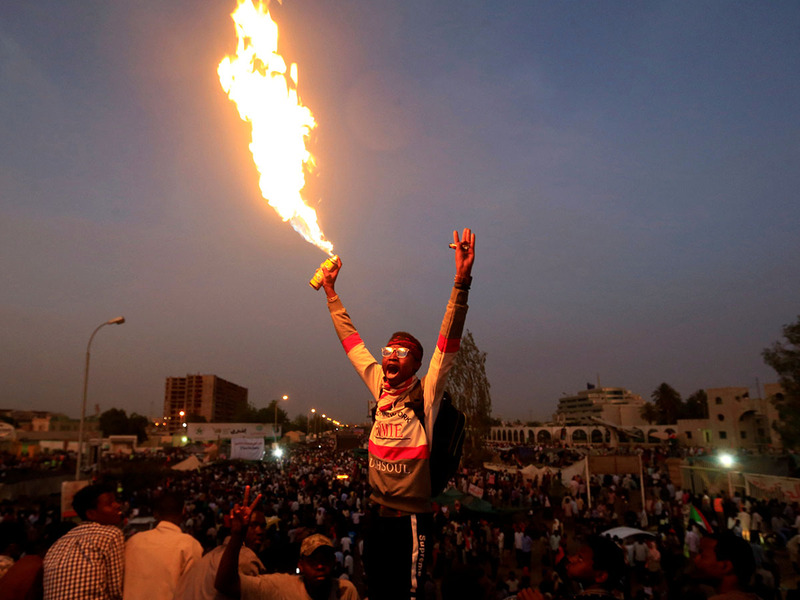 Khartoum: Sudan’s main protest group on Sunday demanded the immediate handover of power to a civilian transitional government, saying it would keep up the street demonstrations which ousted former President Omar Al Bashir last week to achieve its aims. The military council that replaced Al Bashir, who was ousted on Thursday by the military after three decades in power, announced a raft of new decisions late on Sunday including the retirement of Defence Minister Awad Ibn Auf. Ibn Auf, and his deputy, resigned as head of the transition council after they assumed the positions following the ousting of Al Bashir. The council also appointed Lieutenant General Abu Bakr Mustafa as intelligence chief, succeeding Salah Abdallah Mohammad Saleh, commonly known as Salah Gosh, who resigned on Friday. “The ball is now in the political forces’ court when it comes to the prime minister or a government,” Shams Al Din Kabbashi said. Lieutenant General Omar Zain Al Abideen, another member of the council, said the opposition would have one week to submit their suggestions. The head of the military council, Lieutenant General Abdel Fattah Al Burhan, had earlier said the council had invited the main opposition parties and protest organisers for a meeting. A Reuters witness said the meeting was largely attended by unknown politicians and parliamentarians who are known to be loyal to Al Bashir’s party. SPA, which had demanded civilians be included on the transitional military council and for Al Bashir’s close associates to leave, called for the arrest of prominent National Intelligence and Security Service generals, including its former head Salah Gosh, and for the removal of the prosecutor general. It also called for the arrest of Al Bashir, whom the army has said it has already detained.